Going on a mission trip is a key element of the School of Theology’s curriculum. 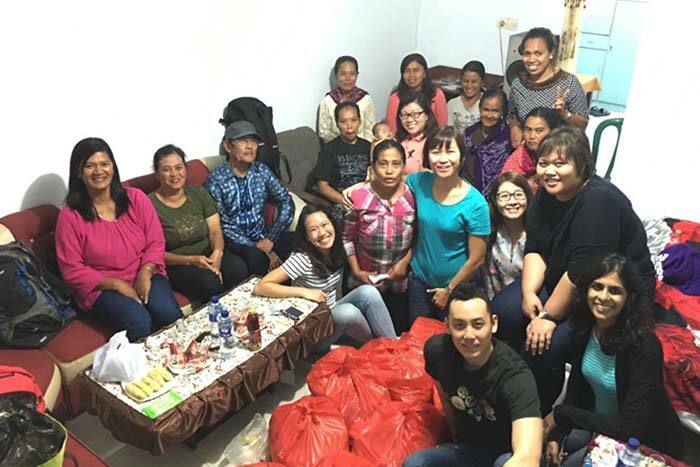 One SOT student, Chloe Chua, shares how her mission trip went and the things she learned. Chloe and her SOT team after a spirit-filled cell group session at GDPI Ekklesia Tengger-Bromo Church. Several members received healing. 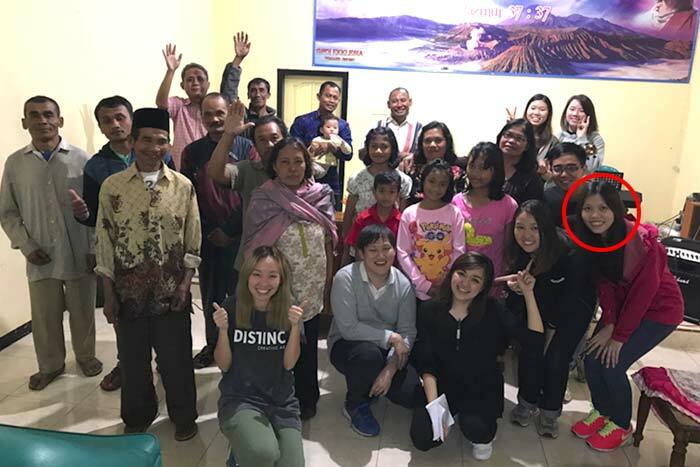 Over the Pentecostal weekend of June 2 to 5 this year, I went on my first mission trip to Mount Bromo and Probolinggo in Indonesia. Traveling with me were 14 teammates from City Harvest Church’s School of Theology and 17 members of the Missio Dei Harvest, a mission team started by five SOT students upon their graduation. I was assigned to preach a short word for an adult congregation and organize a children’s skit four days prior to the trip, and I did my best to prepare for it. While I was excited, I also felt unprepared and inadequate. The idea of having to pray over others in a corporate setting scares me. It sounds quite ridiculous for a Bible school student and a Christian of 14 years, but I had always been highly skilled at hiding in my comfort zone. I was worried I would not know what to say and what to pray. It was difficult for me to connect with God in that setting. But two days before the trip, a friend whom I had not spoken to in a while sent me a message. She told me that she had a vision of me and felt led to give me a verse from Exodus 33:14. It says, “The Lord replied, “I will personally go with you, [Chloe], and I will give you rest—everything will be fine for you.” I couldn’t feel more reassured and loved. The verse my friend sent me was in the New Living Translation version, which was the version that I’m reading at the moment. God is simply amazing. 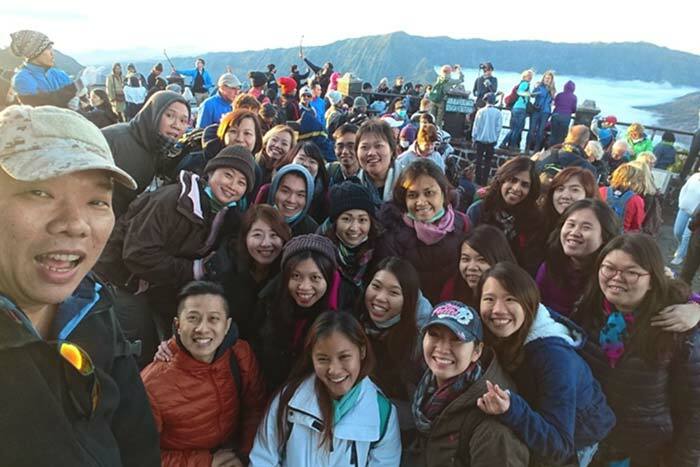 02 June: Our team of 31 split into four groups going to different ministry locations in Mount Bromo to conduct cell group meetings. 03 June: We gathered at 2.30am for morning devotions before hiking up the mountain to catch the sunrise. After that, we “prayer-walked” up the scenic Mount Bromo volcanic crater on horseback, to rebuke the demonic strongholds and reclaim the land for God. In the afternoon, we set off for Probolinggo where we split into four groups to do home visits. We prayed for their needs, especially physical healing. In the evening, we attended the Holy Spirit Anointing Night hosted by GBI Bukit Sion Church. There, we prayed for every attendee, not only to be baptized in the Holy Spirit but also for other issues according to the Spirit’s leading. 04 June On this Pentecostal Sunday, our team split up to minister at different churches. There were nine sessions in which we preached, testified, and prayed. The day ended with a fellowship and personal ministry session with Pastor Daud Ruku of GBI Bukit Sion Church—holy laughter and deliverance happened. Pastor Daud and our trip leader prophesied over every team member. 05 June My SOT team put up a skit based on the story of Noah’s Ark for the kindergarten students at Paud Pelita Kasih. After a morning of singing and coloring with the children, we went on a home visit. The home belonged to Pak Amos, a member of GBI Bukit Sion Church. We prayed for him and the team felt led to donate a bed and mattress. We also marched around Pak Amos’s house seven times as the Israelites did around Jericho. Afterward, we also did a prayer walk over the land on which Pastor Daud has envisioned a Christian primary school and Bible college. Finally we headed to the airport to return home, feeling blessed and full of God’s joy. In total, we ministered to 611 people and prayed for 490 people. Out of these, we saw two salvation decisions, eight people healed, 18 delivered, and nine baptized in the Holy Spirit! All glory to Jesus! One of those we prayed for was a man who experienced pain in the arm whenever he moved. A fall he had had many years back caused the pain. After Val Foo from my SOT team prayed for him, he said that there was still a little pain. Another SOT team member Maki Tanaka came along and prayed for him again. This time, he experienced complete healing! Praise the Lord! Another person we prayed for was a member of GBI Bukit Sion Church whom we met during home visitations. He had an unknown disease, and the team prayed for healing and restoration. 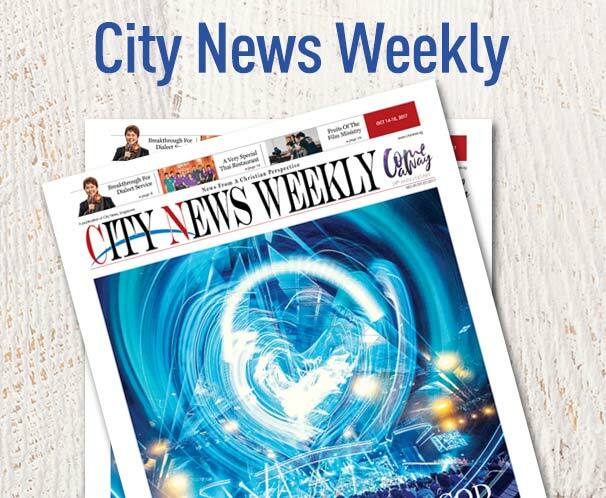 After the team returned to Singapore, Pastor Daud wrote to us that that member was healed. He told us that he could now walk and that that was a miracle. It was an incredible experience, seeing hungry people blessed, learning to discern His voice, stepping out in faith, and even praying for others. On this mission trip, for the first time, I experienced a foreign boldness and compassion as I prayed for the people. That, I’m sure, came from God. It was amazing because I was very aware that the hunger of the people I was praying for drew out the boldness and love within me. And since I was the vessel, I was also blessed.